Beta version of Facebook's hugely popular app called Instagram lacks video sharing, but despite claims to the contrary it can snap pics. Windows Phone fans around the world rejoice! 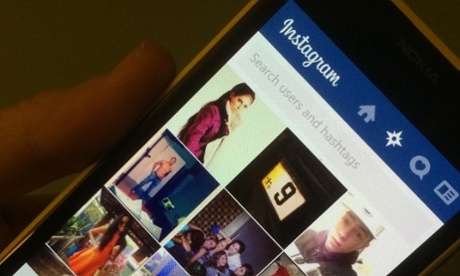 You can finally download Instagram on your device. 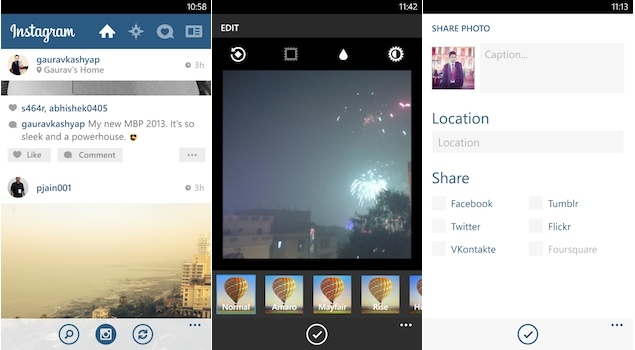 Instagram has finally made its much-awaited debut on the Windows Phone platform. It's a good day for Windows Phone users. In an official blog post, Instagram says it wanted to make the app available to people with Windows Phones as quickly as possible. The version it’s pushing out is therefore a BETA edition with a few less features than Android or iOS users will be used to. “We’re not finished, and our team will continue developing the Windows Phone app to keep releasing features and bringing you the best Instagram possible,” the company says. But even in victory, Windows Phone suffers defeat. Here's how. Instagram’s Windows Phone app includes all the usual photo filters found on its iOS and Android versions, but it’s missing one big feature: video uploading. Windows Phone fans around the world rejoice! Other missing features include the inability to tag people in photos or view maps from geotagged photos. If you're tagged in a photo, you'll still be able to untag yourself and view other people's tags through the Windows Phone app. 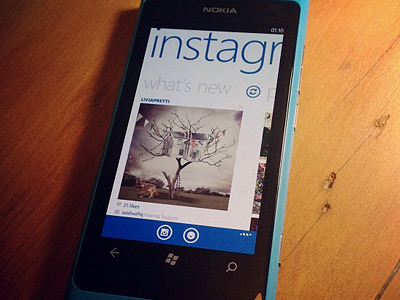 Well, at least the version of "Instagram BETA" for the Nokia Lumia 1020 can take photos. The video below shows how it works on that device. There's been a lot of back-and-forth on Twitter about whether the ability to take photos is missing or not, and it appears even Instagram is confused: a spokesperson told Business Insider that "You can add photos from your camera roll, but taking a photo with the in-app camera is not a capability as of now". As some people who've watched the video above have remarked, that may be strictly true,if Instagram is pushing people out to the device's native camera app to take the photo, then pulling it back in for cropping. Even so, it will feel like you're taking a photo within the app to most users. Nokia even ran a #2InstaWithLove campaign earlier in 2013 to persuade Instagram to port its app to Windows Phones, before announcing that the app was on the way at its Nokia World conference in October. Microsoft has also been lobbying for Instagram's arrival on Windows Phone, claiming today that it now has "90% of the top 20 ranked apps across all platforms", with Twitter's Vine video-sharing app also having recently launched for Windows Phone.